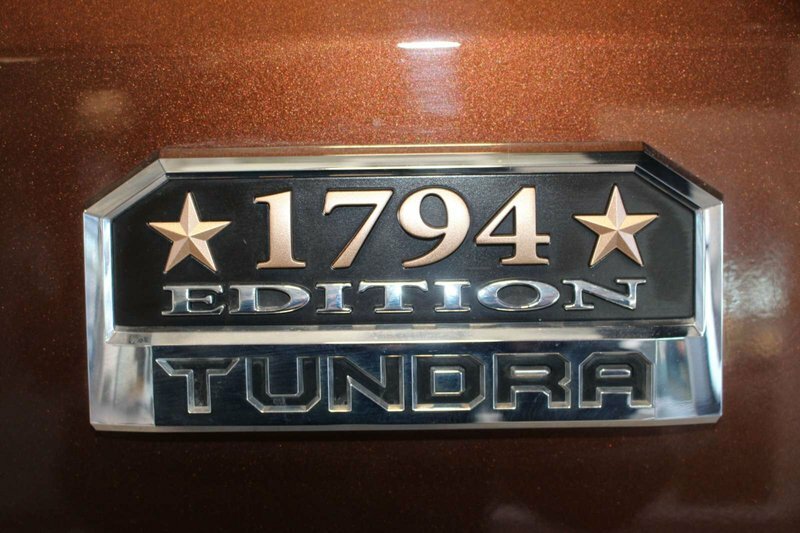 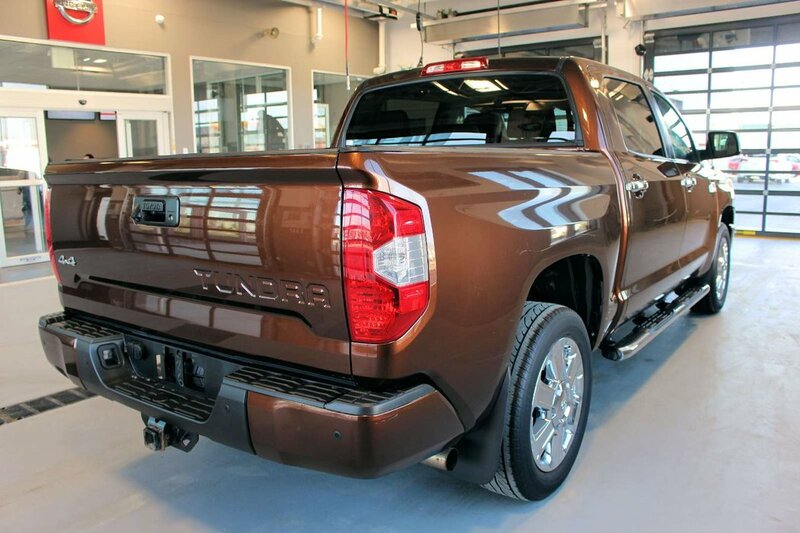 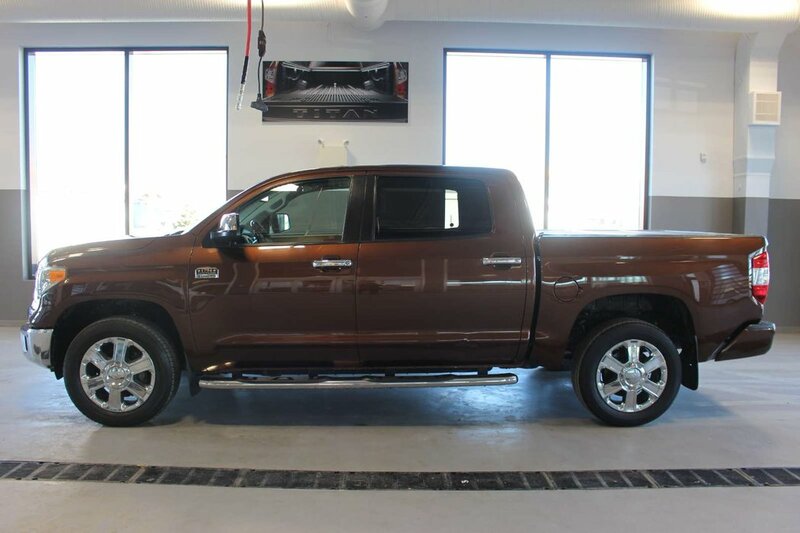 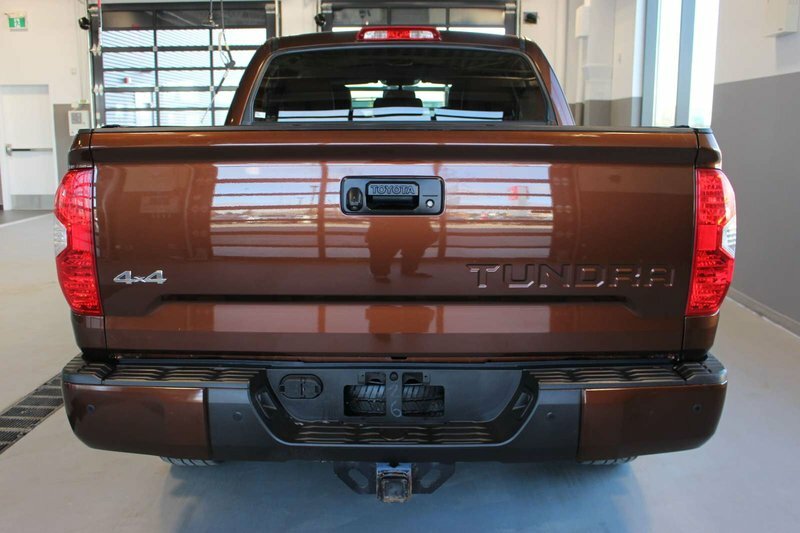 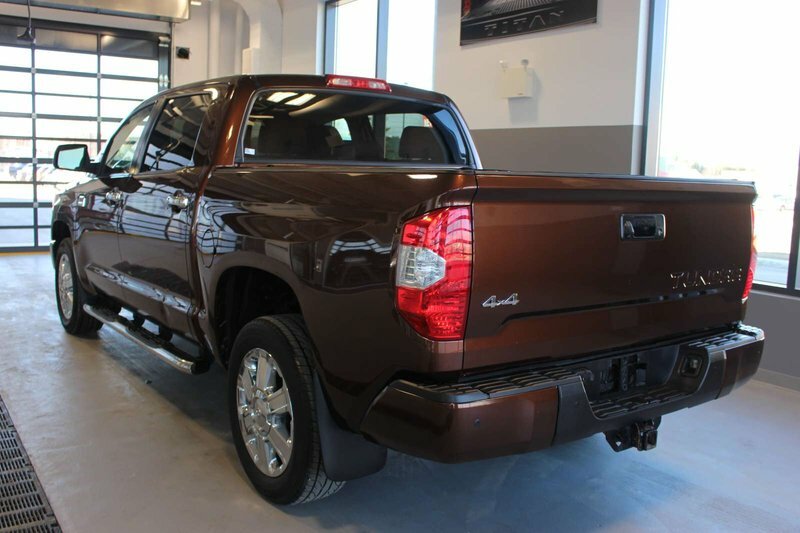 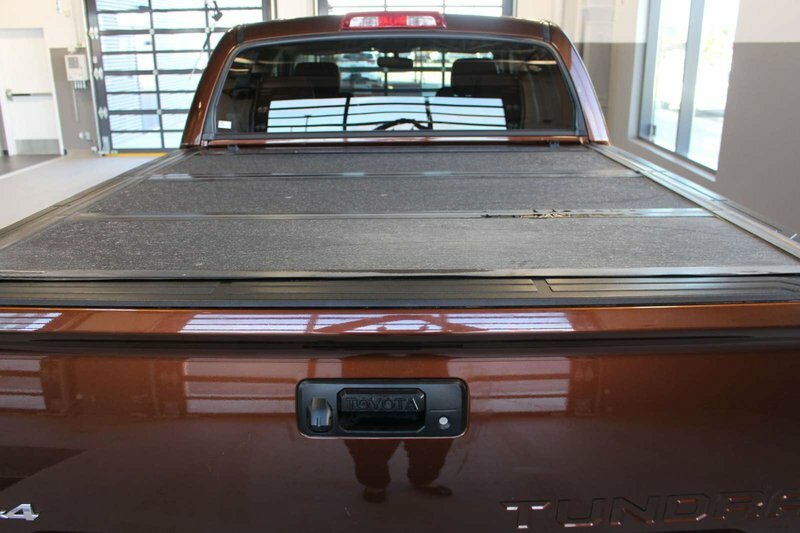 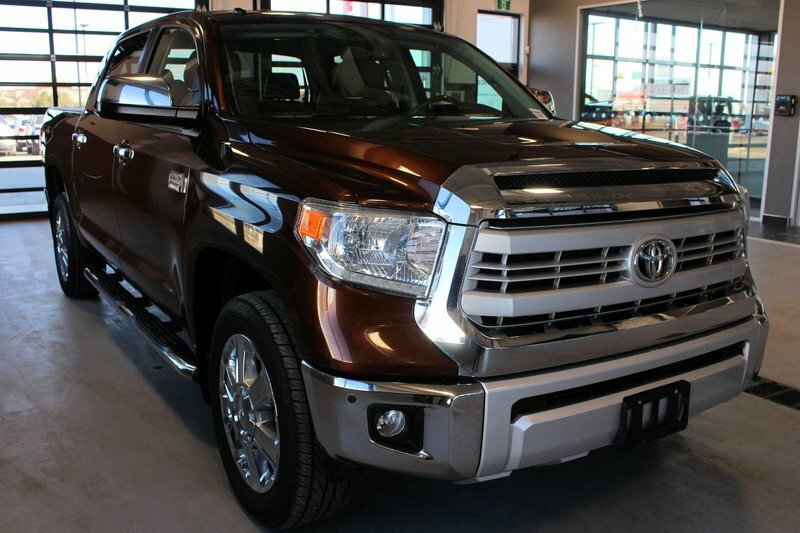 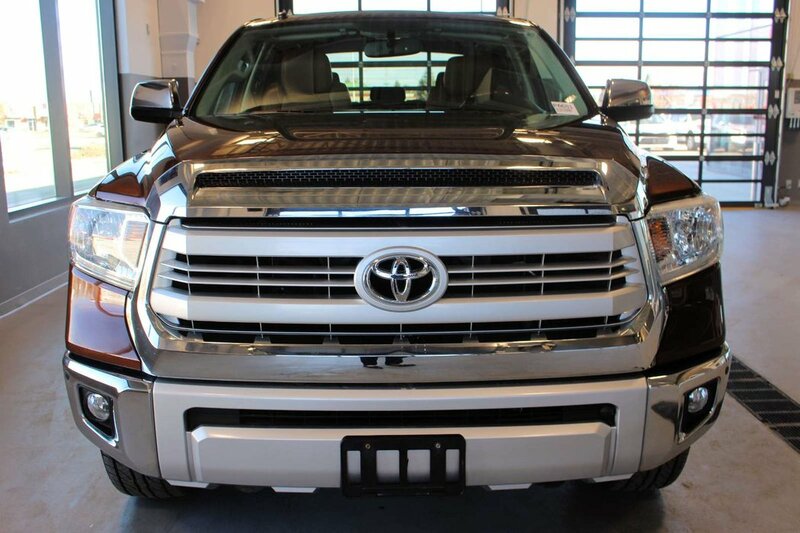 A.M.V.I.C Licensed Dealer Enjoy larger than life luxury and capability in our 2015 Toyota Tundra Platinum Crew Max 4X4 presented in Sunset Bronze Mica. 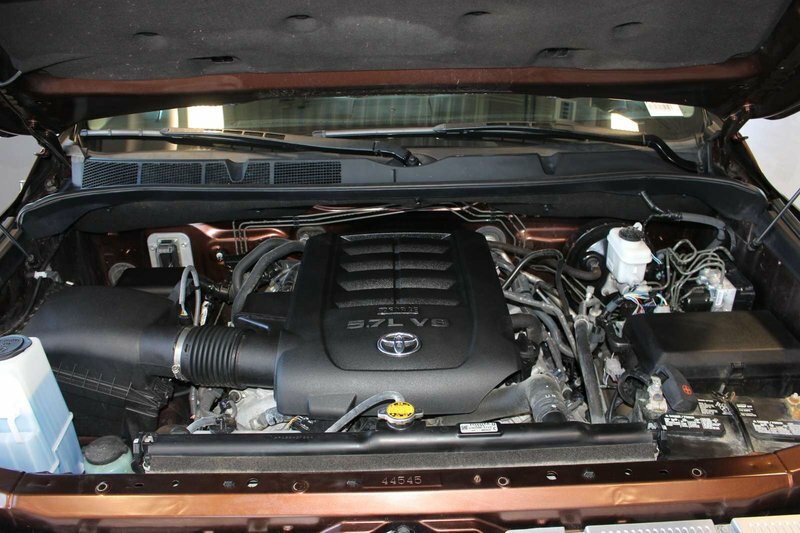 Powered by a 5.7 Litre V8 that provides all the muscle you need with 381hp while tethered to a smooth-shifting 6 Speed Automatic transmission for ample passing power. 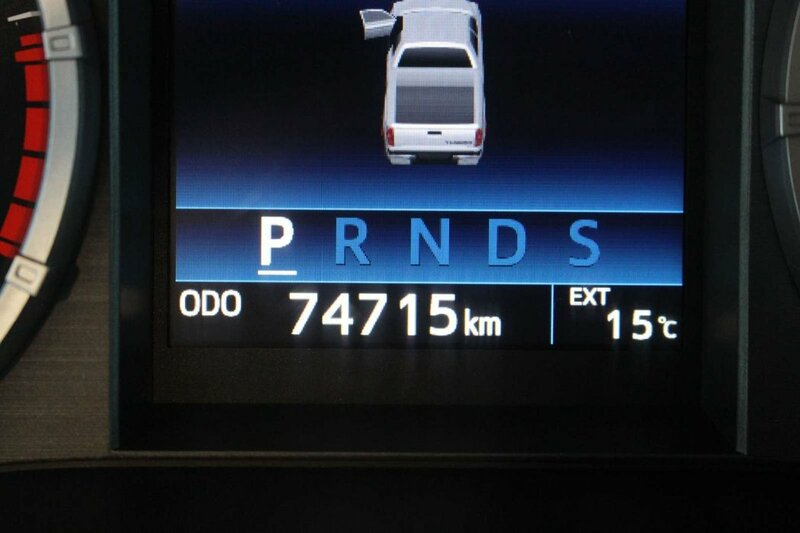 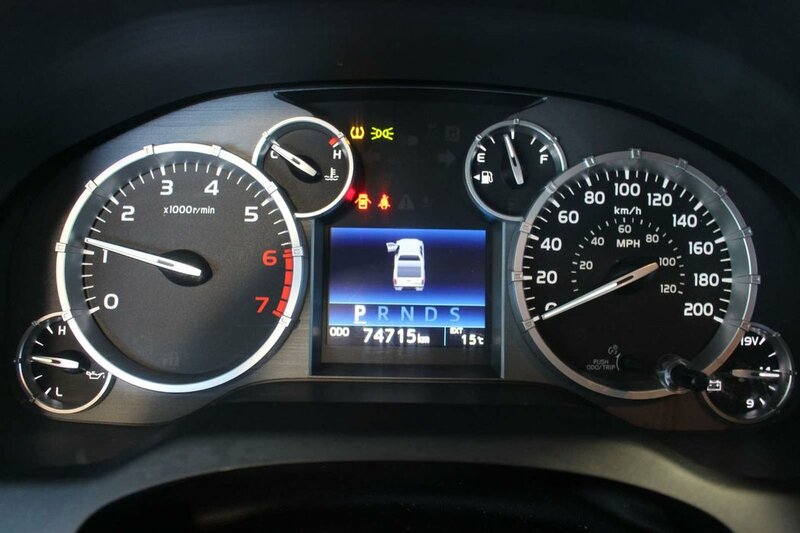 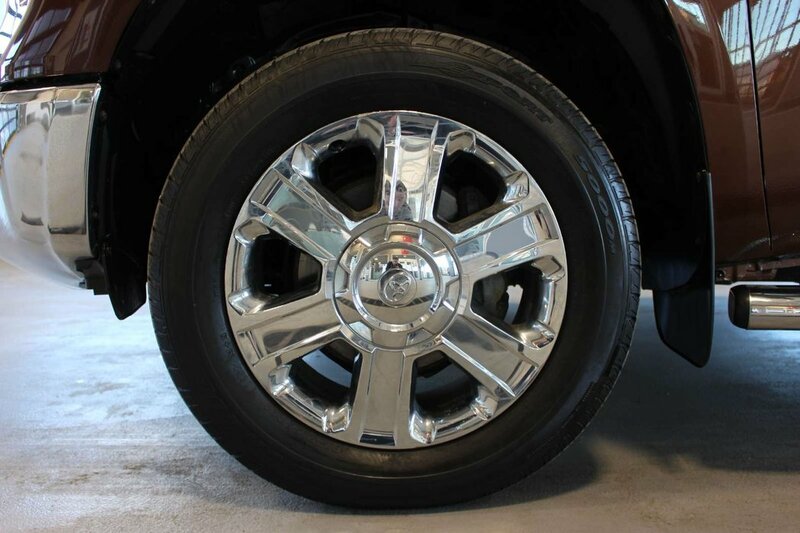 This Four Wheel Drive team provides near 13.1 L/100km on the open road. 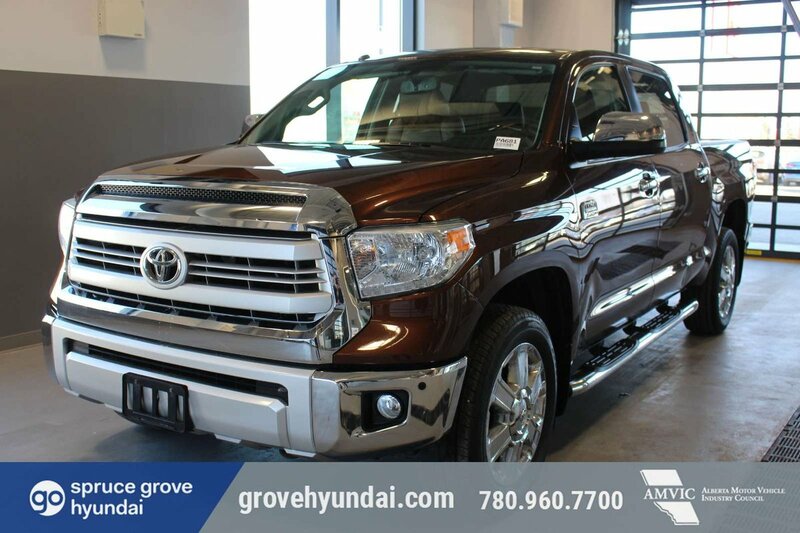 The urban contemporary charm of our Platinum is highlighted by prominent alloy wheels, a tonneau cover, running boards, and a sunroof. 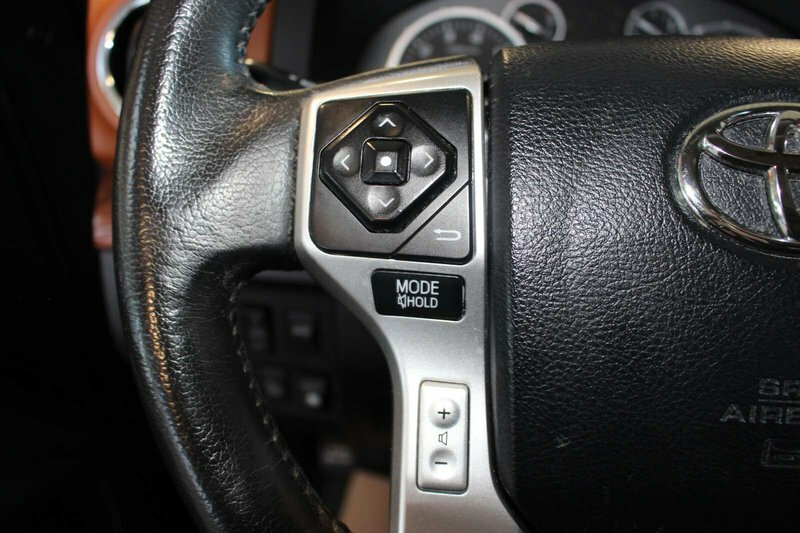 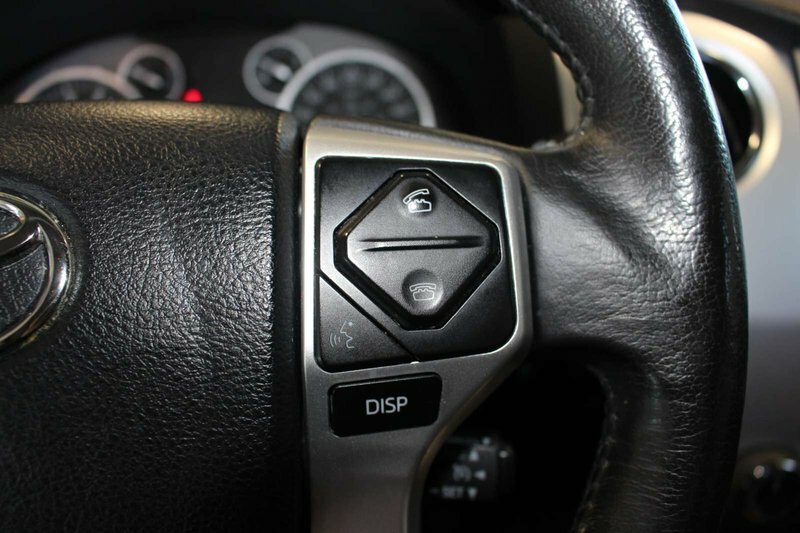 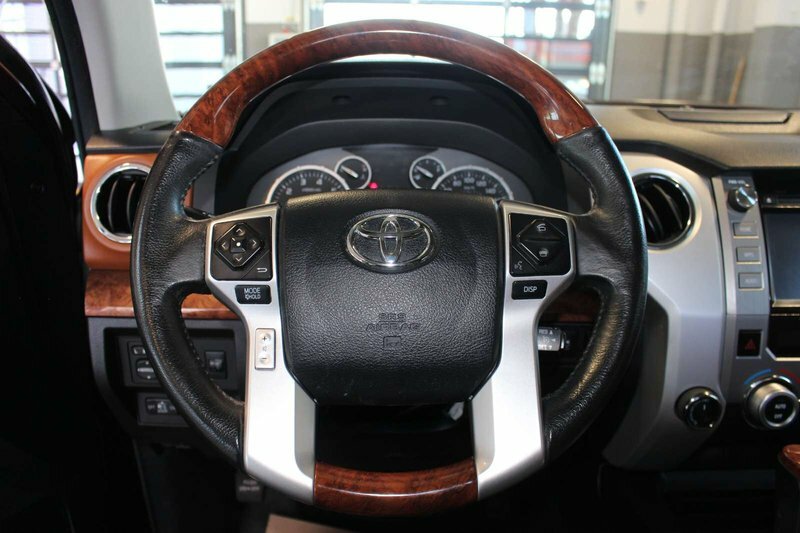 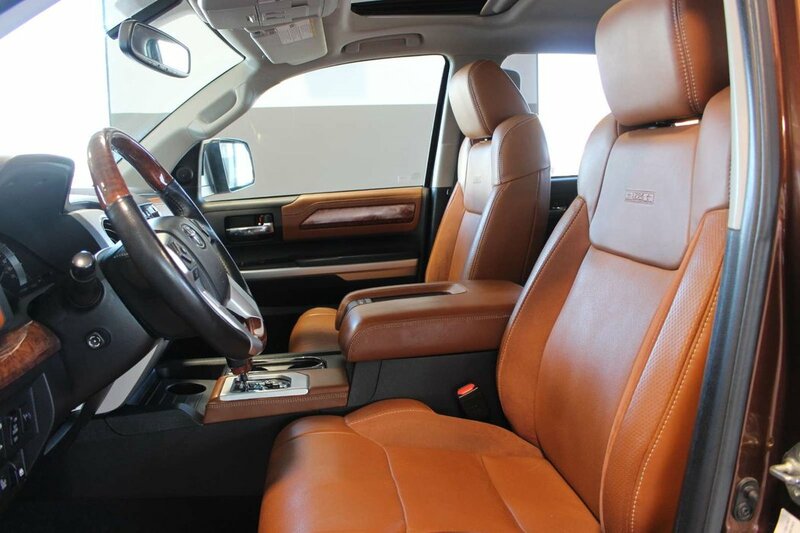 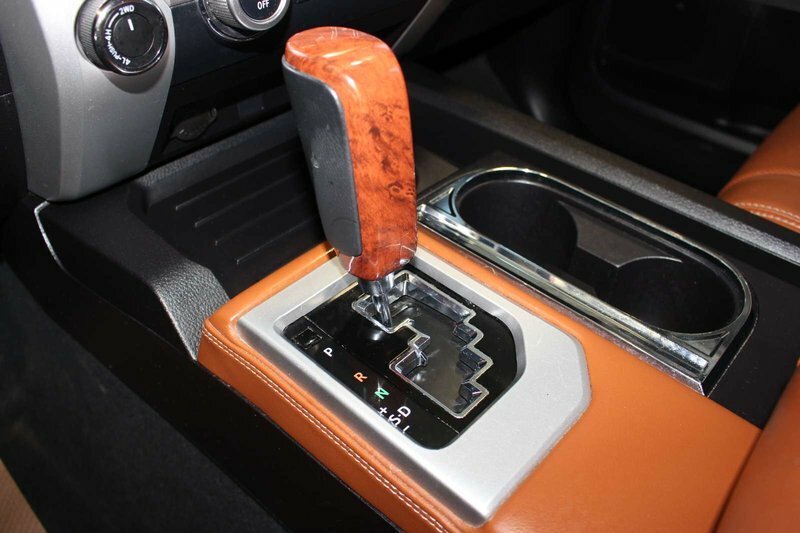 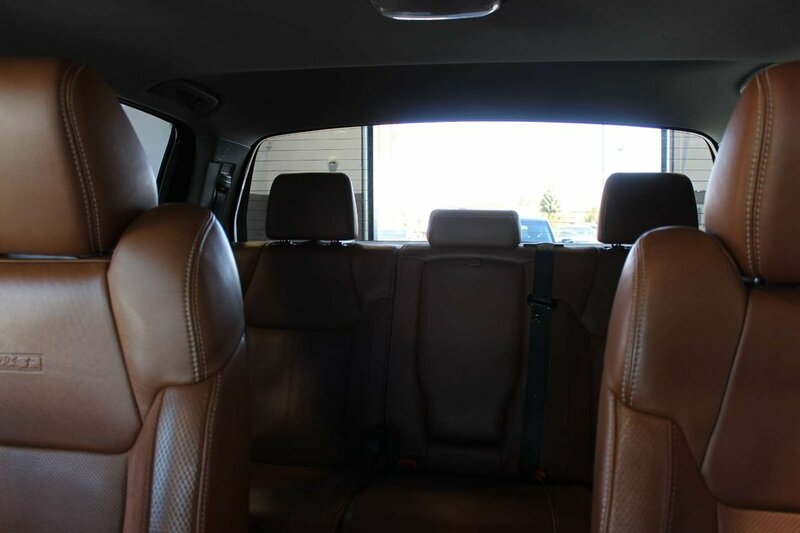 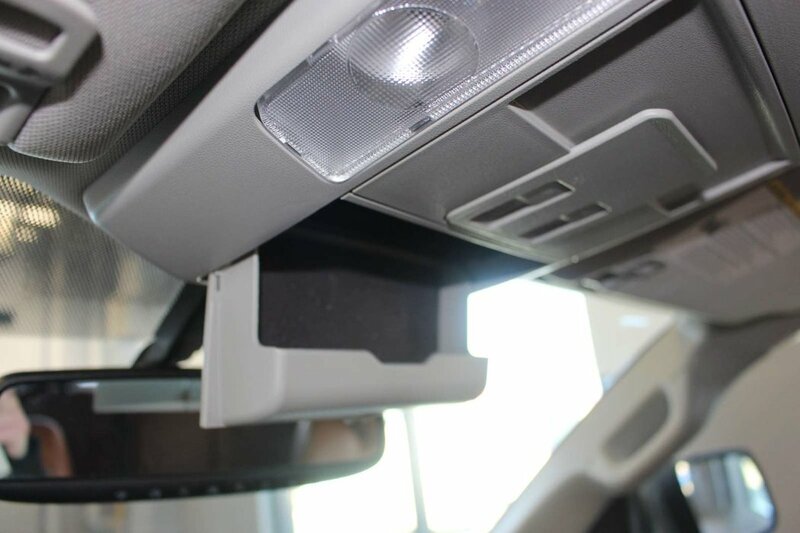 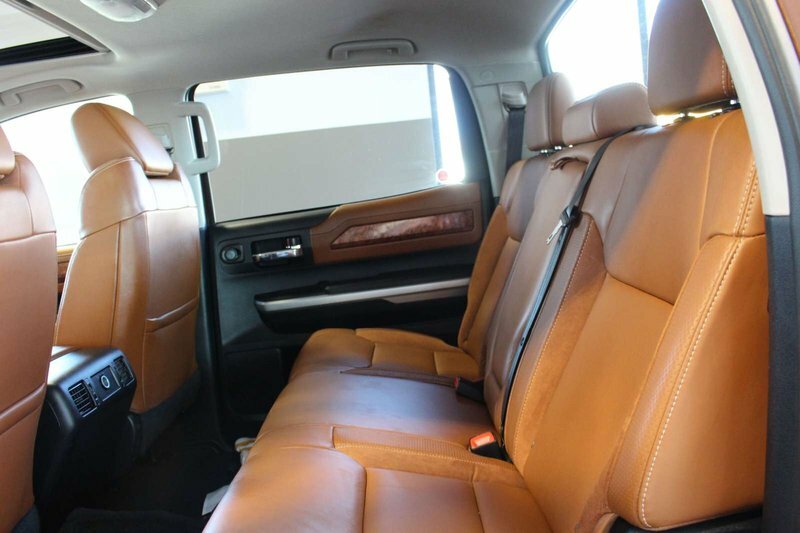 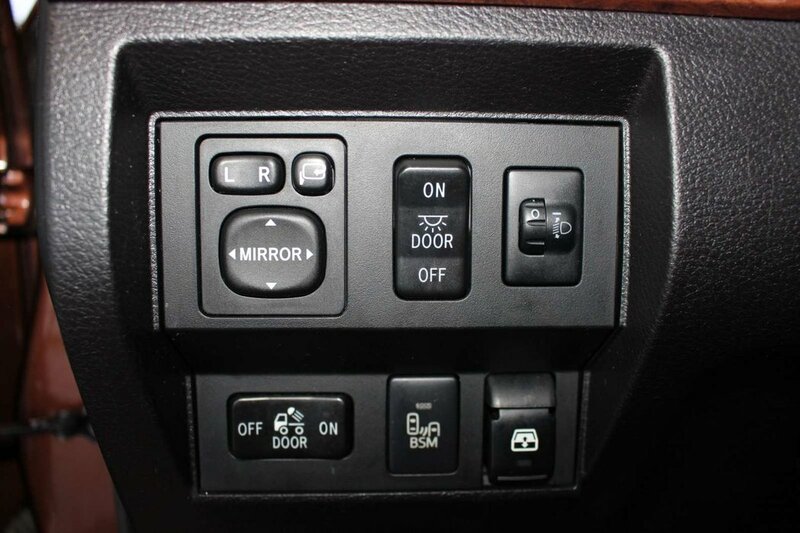 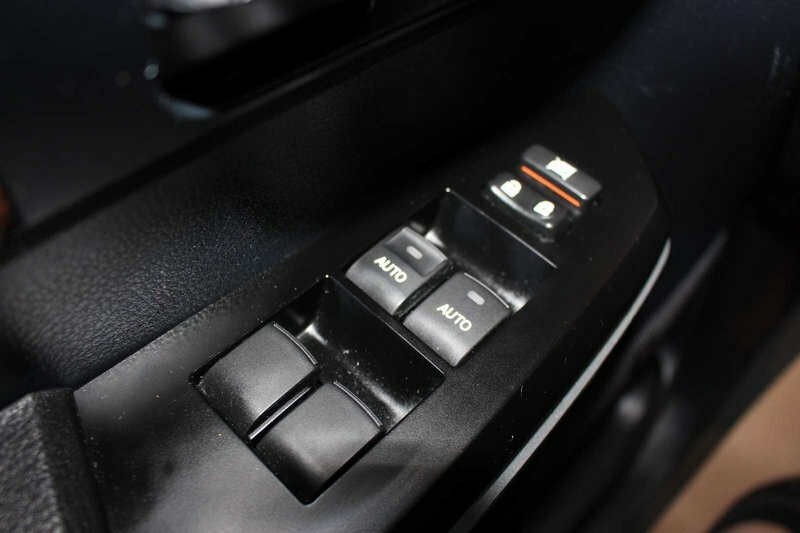 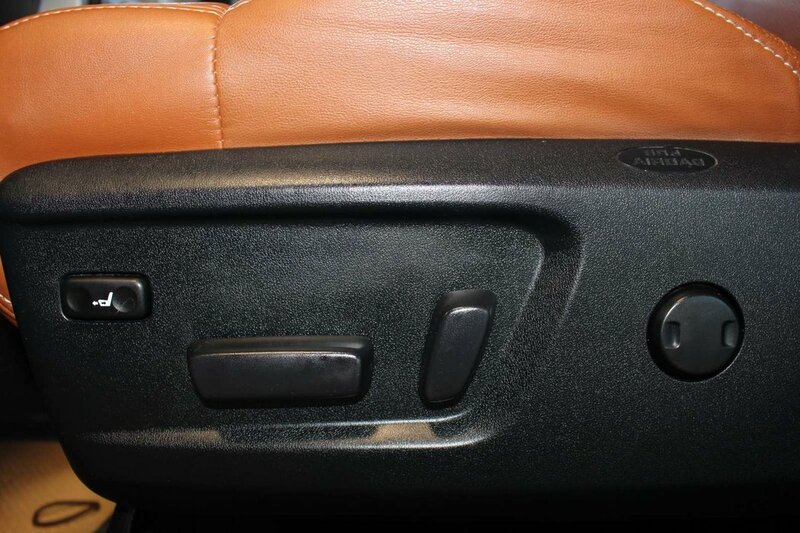 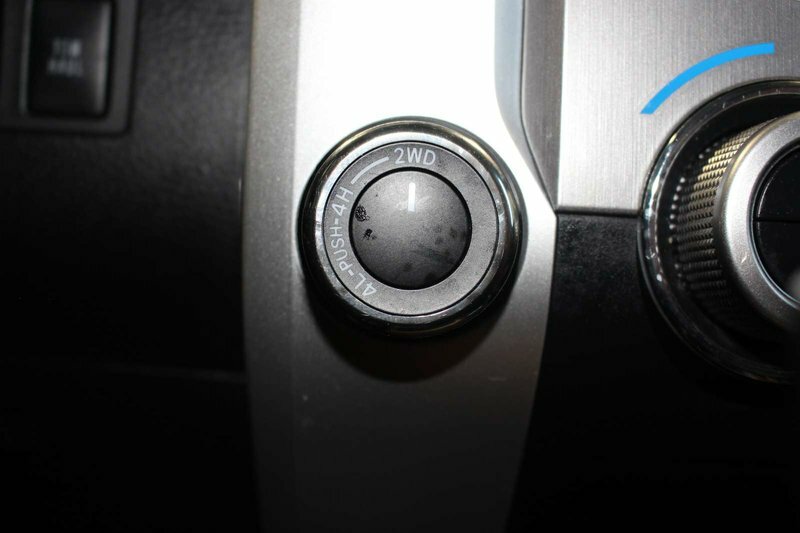 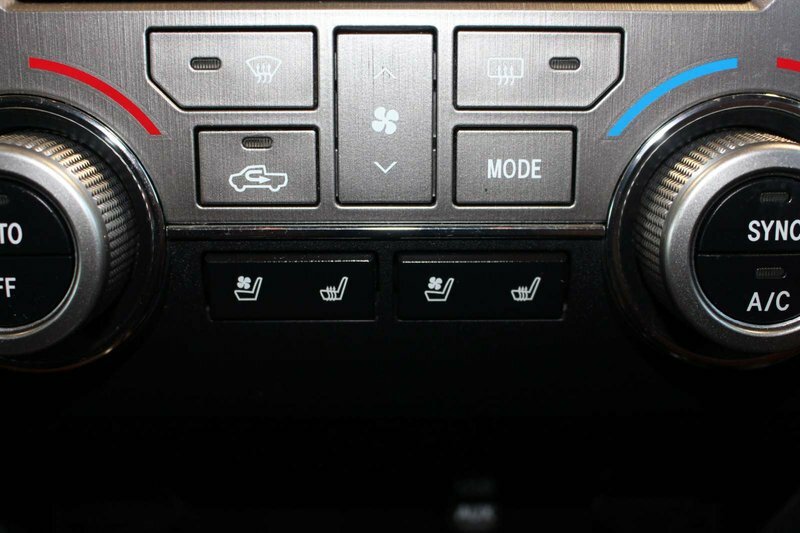 The impressive craftsmanship of the Platinum cabin features perforated diamond pleated ventilated and heated leather seats, premium materials on stylish gauges, and practical buttons and knobs that are refreshingly easy to use. 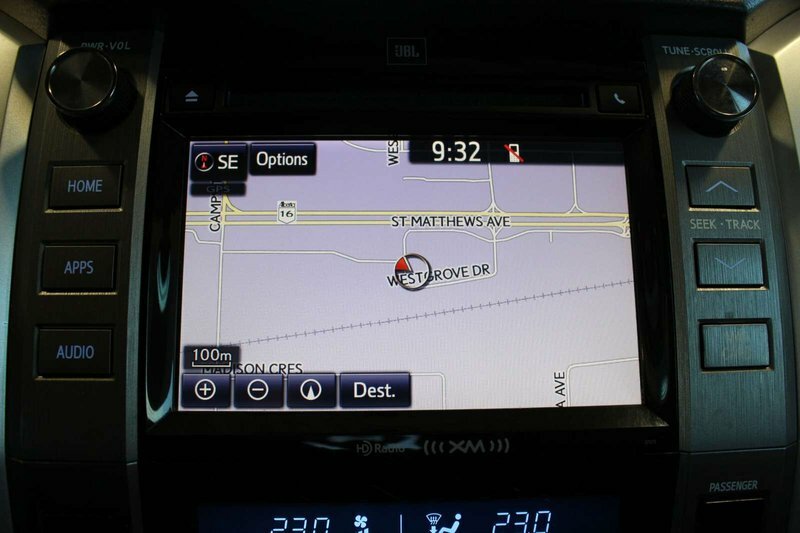 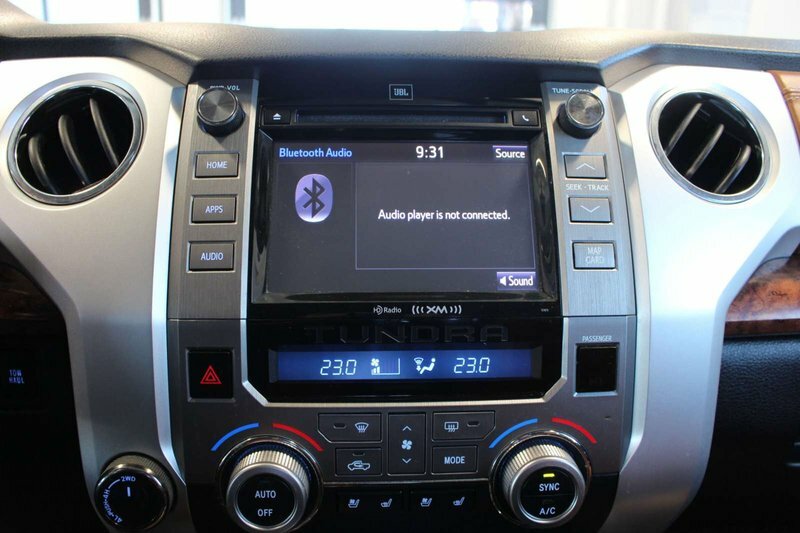 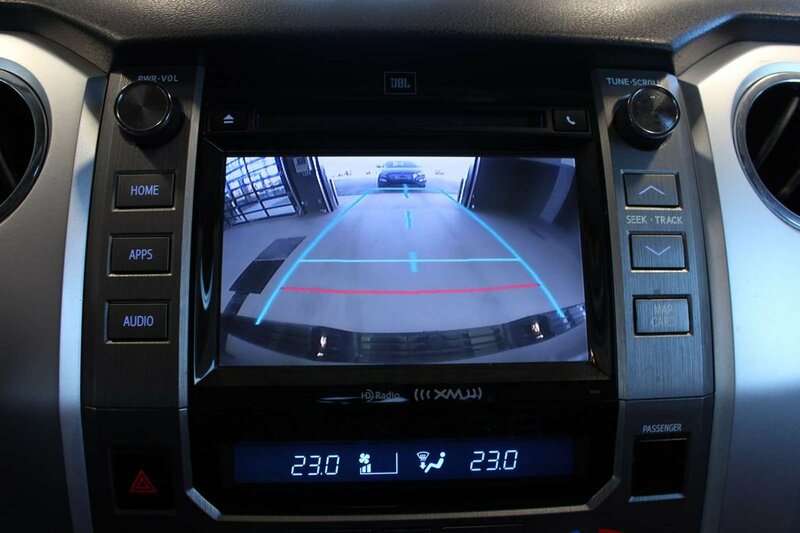 A convenient touchscreen display with premium audio and full-color navigation keeps you connected in order to comfortably work and play. 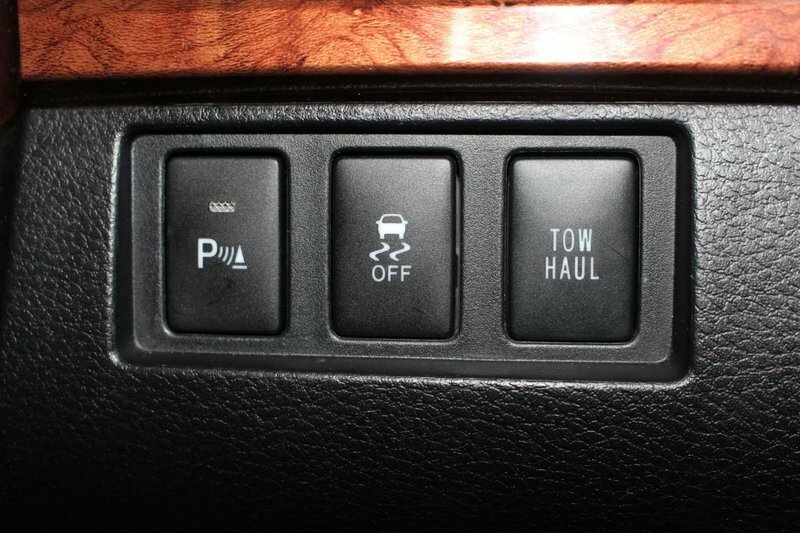 Just try to suppress the smile on your face as this truck works smoothly through its gears, propelling you and your family down the road while turning heads at every corner!